Nature’s Sunshine HS II® combines the health benefits of hawthorn berry, garlic, and capsicum to provide essential circulatory support. Hawthorn is the primary ingredient in HS II and was a symbol of hope for the ancient Greeks and Romans. It nourishes the heart muscle and the circulatory system. Garlic and capsicum may also assist in healthy circulation. 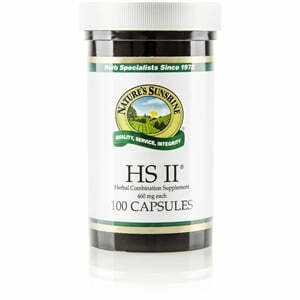 HS II works well when used in conjunction with vitamin C, bioflavonoids, and omega-3 fish oil supplements.